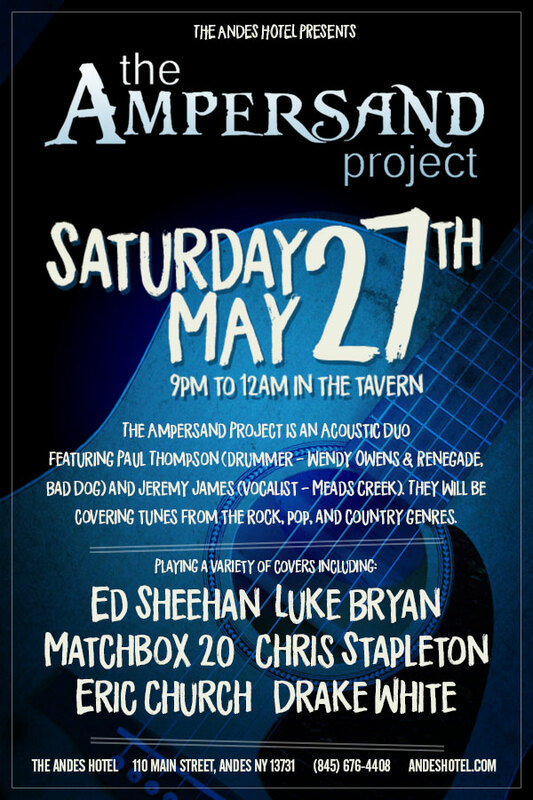 First timers to the Andes Hotel and Twin Tiers’ BIGGEST acoustic duo, The Ampersand Project puts a great sound & a unique twist to the ordinary. Covering music from the rock, pop, & country genres from likes of Ed Sheehan, Luke Bryan, Matchbox 20, Chris Stapleton, Eric Church, Drake White and many more! Don’t miss them!